Today I created this post to show you 10 different backlinks strategy that Google always hate and we must need to avoid or ignore. If you are still doing this, your website will penalized or banned for sure when Google update their algorithm. Before update, you will lose your page rank, traffic, readers and many more. So let’s start and learn those disgusting strategies. Selling or buying links are always risky to penalize website soon. Because now a day’s Google see it as a spamming and you can lose your website forever. Don’t try to make money by selling links or don’t try to get backlinks by investing some money. It will harmful for your website with every ways. So you must need to avoid this strategy to keep your site safe. I've seen someone who buy and put their links in blog posts like publishing a guest post. I know now a day’s guest posting is very effect way to get our website in good position of search engine. But don’t think Google are fool and don’t treat. Try to make valuable post and publish it on big website like Ezinearticles, hubpages, Squidoo etc to get valuable backlinks. I've also seen some companies they are offering cheap services for getting too many backlinks and use some wonderful sentence to attract peoples. But you need to be careful always, valuable is not easy to get it. They are using some disgusting tools, software for promote your blog and start spamming. If you order any service, you website will get banned soon for sure (guarantee). So as your wish, you want to save your time by purchasing backlinks and banned your website or building valuable backlinks yourself. Note: You can’t buy backlinks from other. But you can hire someone to write content for guest blogging. You can find too many professional article writers for your blog and guest posting. They are creating 100% unique, high quality article for you. You can find people in freelancing websites like oDesk, freelancer, elance and etc. Exchange links is good way to get some readers from other websites. But it must be natural links, I mean if your blog is computer technology related and put your site link in health tips related posts. Its looks like unnatural links and your website will penalize for sure. So you must need to find the same niche of yours and exchange site links to get backlinks. Make sure about natural links. In next Google algorithm update, they are strict with do follow and no follow links. You must need to add ‘rel=nofollow’ links in article post or you pay for the links. Don’t add do follow links. it will cause ban your website. Don’t add do follow links for passing page rank. You don’t need to submit your website in thousand of social bookmarking sites. Just tell me is it worth submitting your website that bookmarking site not giving you single visitors. Just find some or few social bookmarking sites and submit your website there. You will get good benefits from single websites if that are valuable sites. If you add text ads in other website, make sure about ‘rel=nofollow’ in every links. When you add links in other website by text ads? Just make a anchor links with ‘rel=nofollow’. Your website will be safe now if you do it. But if you do it wrong and put your link as a do follow links. Your website will penalize for sure. Don’t start spamming your website link in forum post or thread. Just put your link in signature areas with relevant sentence. Don’t use your site title and put your link on there. It’s look like spam. Also I’ve seen some people who are offering forum commenting services. They are using automatic tools or software and it’s always harmful for your website. Limit your work and don’t do over optimized your website. For example if you add too many links in one or two sentence, it looks like damn spamming. It’s cause your website ban or penalize. So don’t add your links limitless. 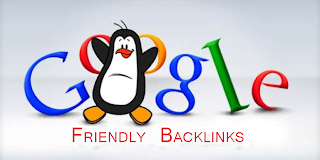 After Google algorithm update, they are strict with quality backlinks rather than magnitude. 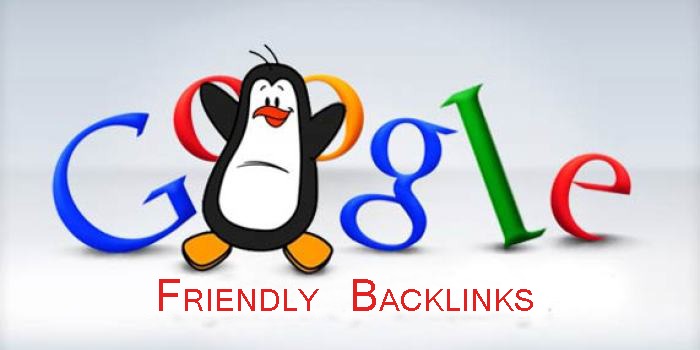 Google never link mass link building or automatic tools and software’s for building backlinks. So you must need to avoid this always. If you success to avoid those 10 strategy in blogging career, your website will safe for sure. If you have any questions or problem, don’t hesitate to comment here. I will do my best to reply your comment. Thanks for spend your time and comment in my blog. Thanks again. Hi Reaz, Simply I can tell. It's a great post to know which link building method we need to avoid and what Google hate most. it's really helpful post to make our blog safe. Thanks. I'm happy to know you like my post. It's really helpful to make your blog safe. Thanks for your comment..
assalamualikum... punya blog yg berbahasa indonesia tidak?? walaikum assalam murah, If you please comment or ask anything with English language. it will be great. Because I can't understand your language. Sorry. Now doubt guest posting is an awesome and natural way to generate high quality backlinks. thanks for the huge resource. Absolutely... Thanks for your comment Sohail. Good to know you like the post. Nice article, now i now. Nice Tips, thanks for sharing the best unique backlinks of this blog. This is really nice news. Thanks for sharing such a wonderful article..keep updating.. Wow! !..Pretty article,thanks for posting your awesome blog here.. Thanks for sharing this strategies admin, it is really helpful. I really found your article very useful. Keep sharing more about SEO strategy. Nice and good post, thanks for sharing your valuable ideas. This is very useful to me! Very informative article! Got to know various do's and don't for SEO. Good to see this blog admin, really helpful to me. Keep sharing more like this. Excellent strategy regarding backlinks creation. It's very authentic to promote my website through online. All SEO experts should understand the worth of this post. Great Article and Thanks for sharing this post with us. Really Appreciated.